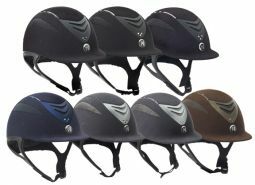 One K™ Helmets boast the perfect synergy between advanced technology and aesthetically pleasing design. With enough features to appeal to those seeking everything a helmet could possibly offer, wrapped in a package that traditionalists can appreciate, One K™ has the best of both worlds. Certified to ASTM standards.